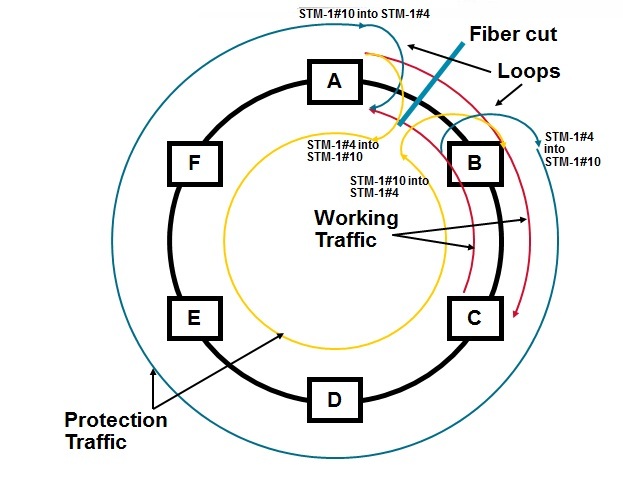 Telecom Transmission Made Simple: Detailed operation of BLSR & Squelching. Detailed operation of BLSR & Squelching. Bi-directional traffic between two nodes is transported over a subset of the "ring sections" or "spans". In this configuration, Minimum capacity equals line rate. Capacity is in general expressed as number of AU4, or bandwidth. The bandwidth is provided by an integer number of AU4 payload. Here, each span has, in each direction, a capacity of up to half the number of AU4 in the STM-N (i.e. 8 AU4 for an STM-16 section). 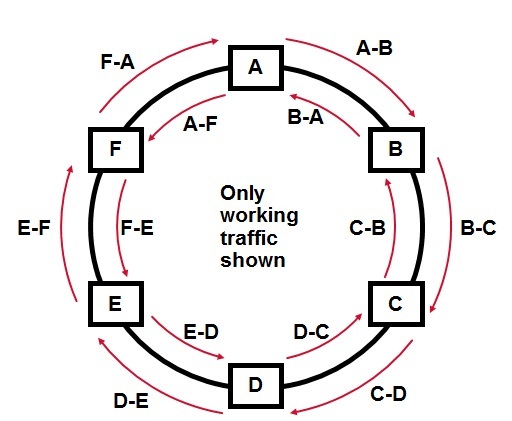 All traffic from a node goes to adjacent nodes. Max. capacity = 0.5 (line rate) x number of nodes. Note: This Max is achieved only of the working traffic is transported only between two adjacent nodes. 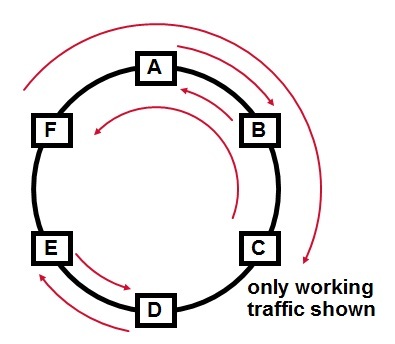 Now node A and node B will switch the traffic to protection path. 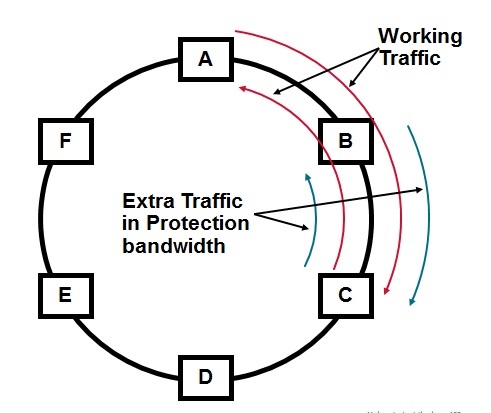 No dedicated protection bandwidth - only used when protection required. 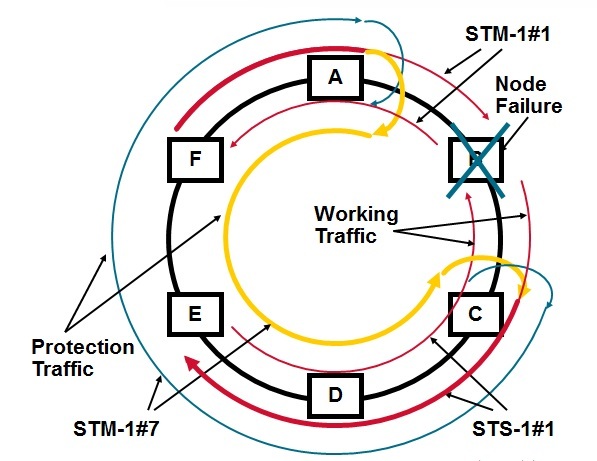 Only nodes next to the failure know about the protection switch. No traffic lost. Now Both node A & C switch the traffic to protection channels. 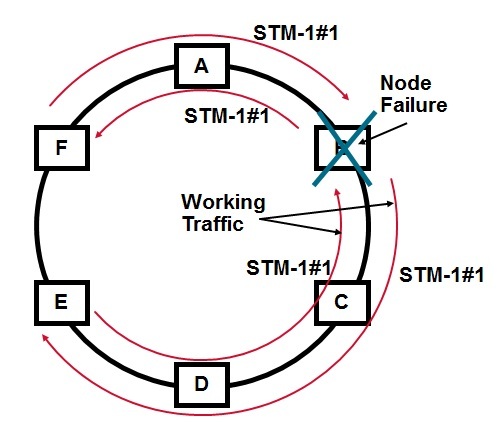 Only nodes next to the failure know about the protection switch. In this scenario, only Traffic to/from failed node lost. 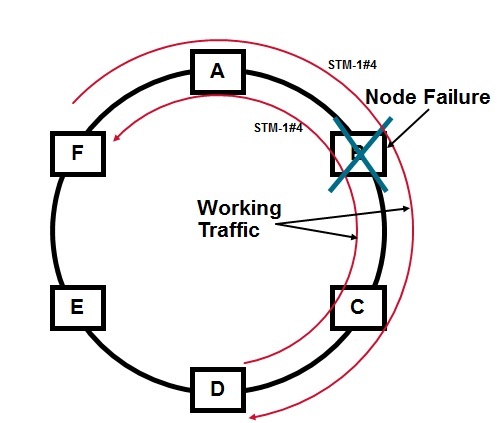 When a node fails, traffic terminating on those nodes cut off by failures could be misconnected to other nodes on the ring in case of using a local fail-over decision . Squelching is required to assure that misconnections are not made. 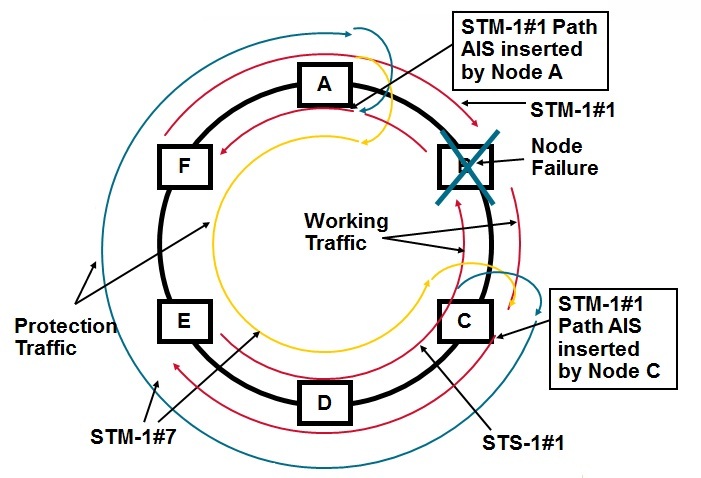 It is required for bidirectional line switched rings only, since it is the only ring to provide a reuse capability of STM-1s around the ring. This is only required when nodes are cut off from the ring. 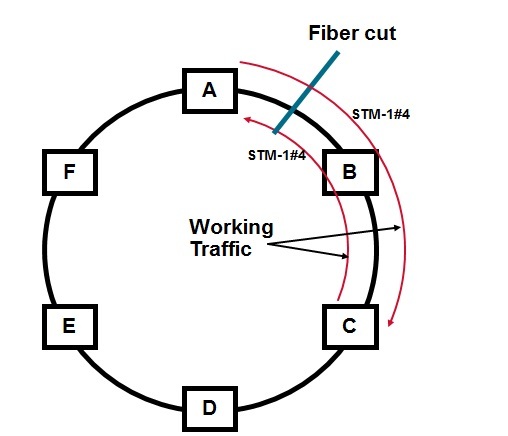 Also this is only required for traffic terminating on the cut off nodes. 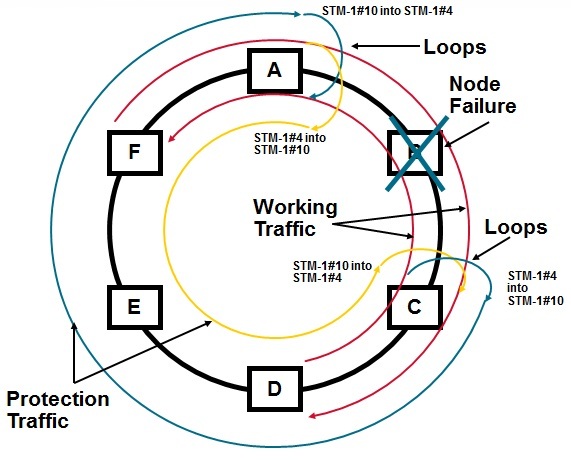 A ring map that includes all STM and VC Paths on the ring is available at every node on the ring. Squelching is also required for extra traffic since the extra traffic may be dropped when a protection switch is required.